Just how many trams have gone on loan over the past 15 years? Actually its quite a surprising number! In this new series we will be looking at all the trams which have gone on operating loans during this period (we say all, we think we’ve covered everything!). As it is operating loans we don’t include those trams which have gone on display (a la Grimsby & Immingham 14 to Immingham Docks etc.) and even if things didn’t quite go according to plan during the loan it is included. We have also taken an on loan to mean something which is not at what we would consider its permanent home tramway at the time so sorry Bolton 66 and Stockport 5 your loans in Blackpool aren’t included! 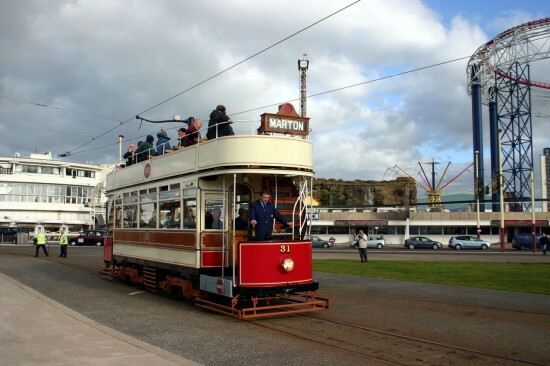 The first in the series is probably the tram which has travelled the most distance for its loan with two trips to Blackpool and one visit to Heaton Park included – Blackpool Marton 31. Always popular whether it travels Blackpool Marton 31 is normally resident at Beamish but over the past 15 years it has escaped the north east on two occasions. 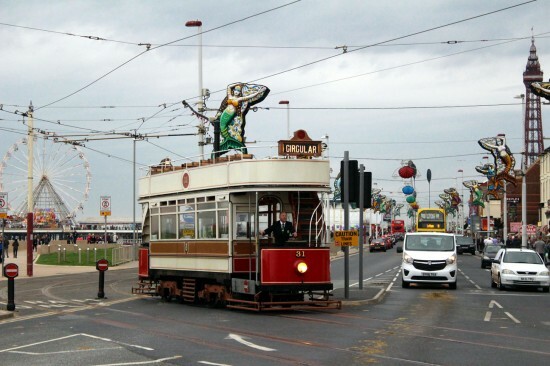 The first of these was in 2010 when it was loaned to Blackpool for a short period for the 125th anniversary of the tramway. Arriving in Blackpool on 15th September 2010 it was prepared for use during the anniversary week and was used on both enthusiast tours and specials on a limited basis before leaving again. 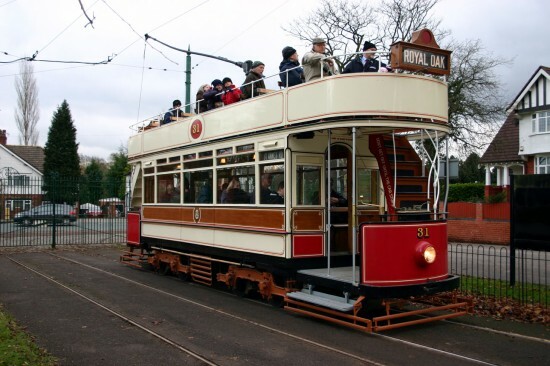 However, 31 was not to head back to Beamish straight away as we made a top off at the Heaton Park Tramway in Manchester where it was one of the stars at the Blackpool Day. Departing Blackpool on 9th November, 31 proved to very popular at Heaton Park and stayed in Manchester until 3rd May 2011 when it was back home to Beamish. But that isn’t where the loan story of 31 ends as in 2016 it headed back for a season long loan in Blackpool (swapping with Blackpool Standard 147). Departing the north east on 2nd March 2016 it proved to be a very popular tram during the season and finally returned to Beamish on 13th March 2017. During these 15 years 31 has gone Beamish – Blackpool – Heaton Park – Beamish – Blackpool – Beamish (along with a lot of running at Beamish). In other words it has clocked quite a few miles on the UK’s road network! During its first loan period of this 15 years (although not its first loan back to Blackpool) 31 arrives on Pleasure Beach loop with a full load of passengers during an enthusiasts tour on 24th September 2010. A chilly 21st November 2010 and 31 had found its way to the Heaton Park Tramway for a winter loan – just the place for an open top tram! In this image we see 31 at Middleton Road gates with lots of brave passengers on the top deck! This entry was posted in Beamish Tramway, Blackpool Tramway, British Trams Online at 15, Heaton Park Tramway, Loan Trams. Bookmark the permalink.